Compact bi-directional hand-held Doppler — Auto calibrated. Report forms (Pack of 50). ABI Video, Examination Guide, Quick Reference Guide, and ABI Glossary. 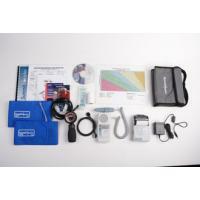 2 cuffs and Aneroid package. Ultrasound Probes/Dopplers can be found in our extensive online collection of products from globally recognized and trusted brands, including Summit Doppler. An excellent option to consider is the Summit LifeDop ABI Reimbursable Vascular System with Printer, 8MHz Probe & Aneroid.